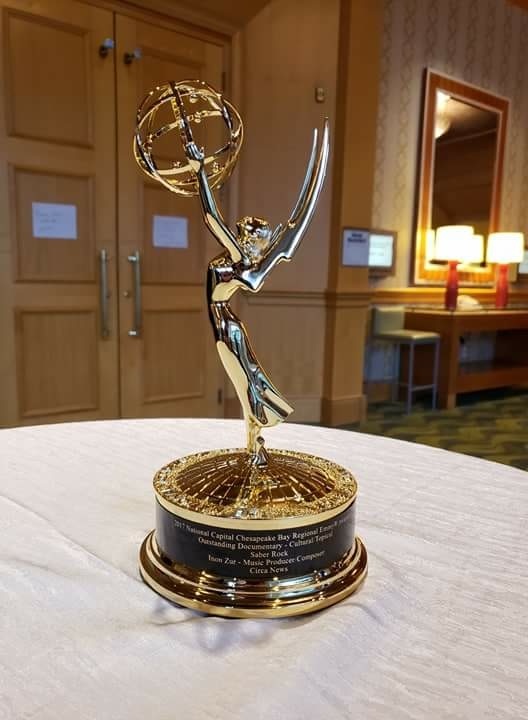 The powerful documentary SABER ROCK (Circa News), directed by The Locastro Brothers and featuring music composed and produced by Inon, has received an EMMY for ‘Outstanding Documentary – Cultural / Topical’ at the Capital Emmy Awards 2018. SABER ROCK chronicles the unbelievable lengths one man is willing to go and the sacrifices he makes to help coalition forces retake his country from the Taliban. Saber Rock is an expert translator with a command of seven Middle Eastern languages and an undeniable charisma. He is a young but battle hardened veteran when he is assigned to work with a small hand-picked team of U.S. Marines deploying to one of the most violent regions in the country, where his inspiring work puts him in serious risk. As his successes mount, the team receives intelligence that the Taliban has put a bounty on his head, yet Rock refuses to back down, telling the Marines he will never leave Helmand until they do. SABER ROCK is available on the following platforms: IOS, Android (Google Play), Apple TV, Android TV, Amazon Fire and Roku. Viewers can also watch the film at https://flixsea.com/saberrockmovie. Watch the Capital Emmy Awards 2018 here.